Roy and Celestial seem to have it all. They are madly in love, newly married, and both embarking on successful careers. An unforeseen circumstance derails their happiness when Roy is accused of a crime he did not commit and is sentenced to 12 years in prison. They both tell themselves that nothing will change, that all they have to do is ride out the time, and then they will pick up where they left off. However, life intervenes, and Celestial turns to Andre, a family friend, for comfort, and Roy begins to resent his wife’s successful career. When Roy’s conviction is overturned and he is released from prison early, he returns home to Atlanta and to Celestial. It is heartbreaking to witness what happens to this couple, through no fault of their own, when they can’t repair the damage that has been done to their marriage by distance, time, and injustice. This is a compelling love story twined around elements of injustice and betrayal. 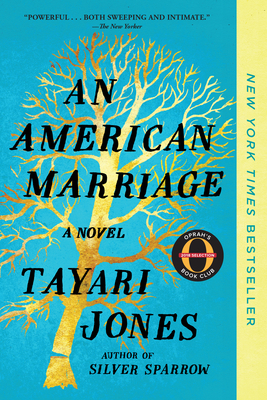 Jones has crafted flawed and complex characters in a tragic and culturally significant situation – a black man accused, convicted, and incarcerated for a crime he didn’t commit. The ripple effects of this mass incarceration is not only devastating to the individual, but also to his family, friends, and extended community. The artistry of this tale lies in its authenticity and how Jones gives us a lens with which to see and the opportunity to care.